Apple fans are antsy with excitement over the new iPhone 6 and iPhone 6 Plus, but many more see this announcement as an entirely new opportunity to grab the now-FREE iPhone 5c. And you can bet that Speck is hard at work coming up with new colors, styles, and designs for what we’re sure is to become one of Apple’s most popular smartphones yet. We’re impressed and excited that Apple made a $99 price cut on just the first birthday of iPhone 5c. Of course, we’ve already got a great line of military-grade protection for iPhone 5c ready to purchase today- but we’ve got plenty more coming your way. 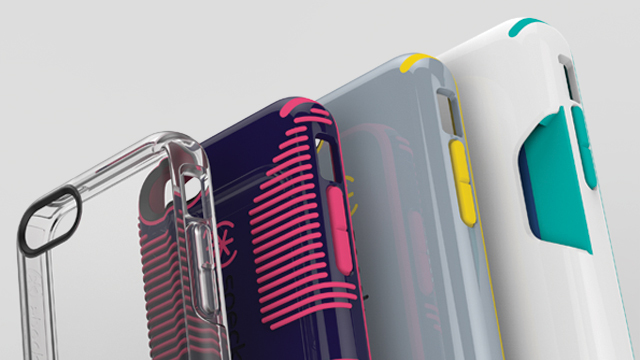 So stay tuned, and sign up for our emails (or like us on Facebook), to find out when we’ll have NEW iPhone 5c cases.